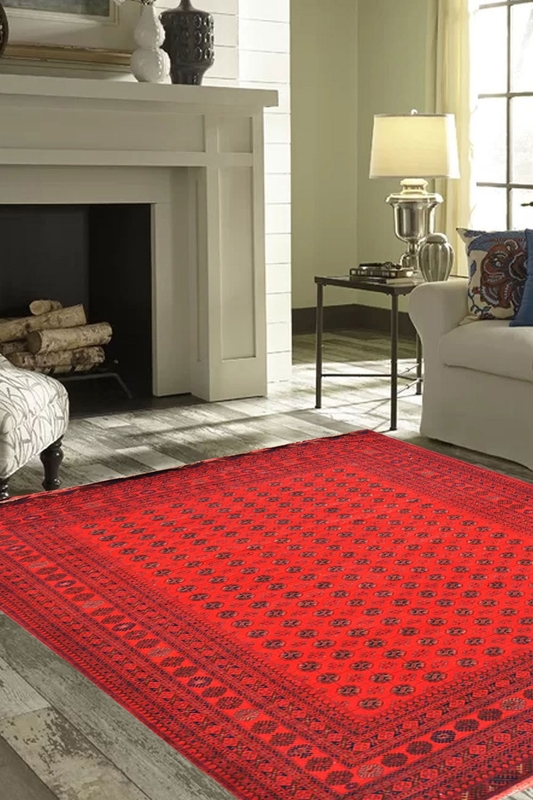 This Red Bokhara woolen carpet is one of the most beautiful carpets in Rugs and beyond. It has a very intricate pattern in traditional style. This area rug has taken about 8 months to weave this gorgeous beauty. The main color is red. It has a beautiful border. This design is called Bokhara which has been originated in the 17th century. This is very popular design and mostly liked by carpet lovers. According to our recommendations, you can use it with light colored furniture. This is 100% washable rug. You can increase the life of this carpet by vacuum it once within every month.